Earning from AdSense should not be too difficult, but it may be better by making sure you follow some obvious points. Every web site should have a purpose and an objective. If it is your companies web site for example, it should be focused on your customers. Possibly also on your investors. Your customers look for products, services and information about your company. Give them the information they are looking for. However there are other elements that apply, which can help your online presence be successful. We will cover some of the more important elements as follows. If you fail on any of these, your customers may never see any of your content and may never visit your site again. Your content must be able to answer their questions, but if they cannot even see it, you will not be successful. This leads to the first key attribute. Site speed – whether it is loading on a desk top or a mobile, it must load fast. Consumers are just not willing to wait more than a couple seconds. your site must load within that time frame. Page scrolling – large pages with lots of content must support scrolling both on desk tops and mobile devices. They need to be able to get to the location and information they are looking for quickly. Site style – the style should be pleasing to the eye, easy to navigate and intuitive to easily support the customers need to find information and answer their questions. Keeping it simple – no one wants complexity any longer. Consumers will quickly move to another site if they cannot easily figure out how to navigate or find the info they are looking for. Keep it simple in everything you provide to the consumer. Some web sites look so complicated and even difficult to read that you just move on to another site. Ever stop to wonder how much time it takes to develop and maintain a complicated website? Something with lots of graphics, links to other pages both on and off site, updating of content that is related to current events or activities within your company. These topics all take a lot of time compared to simple web site design criteria. If you are just starting your business or perhaps just getting started with an online presence, you probably should follow the KISS principle – keep it simple silly! You can always add more detail later and pretty up the site later when you have the time or the need. Your customers will not care provided that the basic information is available and easily found. It still needs to look professional, easy to navigate and provide the information they are looking for, however this is easily completed even on a relatively simple and straightforward web site. If you cover the above in five or six pages that are easy to navigate, then you probably have a pretty simple web design. As you add more products or services, you may need more pages as well. Updates to your site should be relatively easy and straightforward. You should be able to perform these changes yourself providing minor edits, adding pages as needed and updating content as needed. Adding functionality such as taking and processing orders online takes you beyond the simple web site design. There are widgets available that will also handle these functions for your customers. If you need more information or would like a web site set up for your company contact us today be sending an email. For more web design topics and ideas, click here. 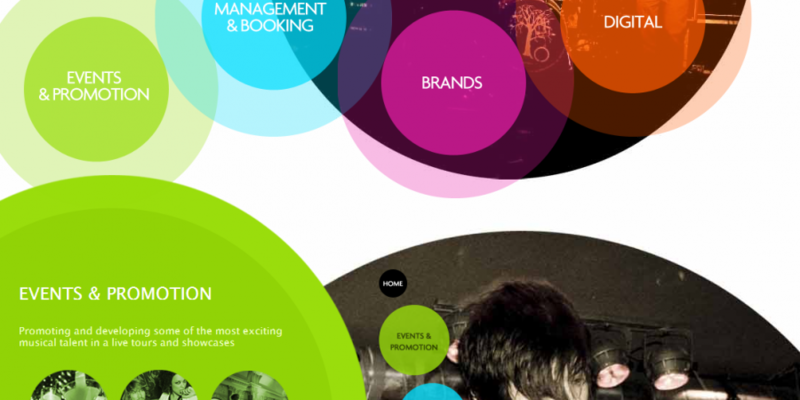 Where do you look for web design inspiration? Most small business owners are so busy trying to keep their business going and above water, that the simply do not have enough time to worry about fancy web sites. They just delegate or do not have a web site at all or they have the bare minimum on a web site for their customers to refer to when they need information. But, what is the right amount of information and do you need something really fancy to attract customers and satisfy their needs when they do land on your web site. We will try to answer these two questions for business owners who are on a limited budget and who are also focused on their core business interests. Customers need to know who you are, how they can reach you and what products are available. If you allow ordering online then you must be able to process payments. Also rovide shipping information and have a back office system that orders, tracks and completes those customer requests. You will need a frequently asked question area as well. You must provide reasonable real-time support for those customers who would like to speak to a company representative. The search engines need to be able to find you and index your web site. This usually means original quality content that is updated on a regular basis to keep it fresh and current. It also tells your customers that this is a viable business that has real products and is worth their time online as well as perhaps visiting your store or business. We touched on this issue in the last paragraph. Web Design Inspiration is more than just building a web site. You need to have a budget to build the web site. Pay for the ongoing domain name and hosting expenses. But, you also need to be committed to keeping your web site up to date. Add new and fresh content to it on a regular basis. This takes some time and effort. Which usually means a budget to pay someone to do this for you. If you have questions about these topics or others, please contact us and we will try to answer them to the best of our ability. For more web design ideas and topics, click here. In our last post we discussed some of the areas to focus on when it comes to setting up the best business web sites. In this post we wanted to discuss design issues for the best business web design for basic web sites. What are the design issues that need to be addressed? These include basic layout that is easy to navigate and easy for customers to find the information they need. Functionality is also important. 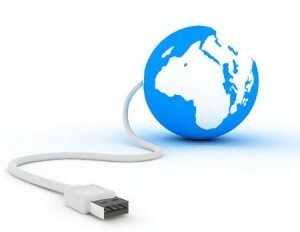 There should be no broken links within the website and to other web sites that you might link to. Many people like fancy web sites that have lots of color and links. A basic site with great content will surpass a complex web site every time in terms of visits and the ability of the owner to keep it up to date. Complex web sites just take a lot more time to maintain. Customers and readers also have difficulty in navigating complex web sites. They may miss important information on your site as a result. Here is some more detail. Maintenance of a web site means that you keep the content fresh, that updates are completed on a regular basis. If you allow customer interaction on your web site, this too must be able to be maintained. You must react to your customers. Provide updates for a variety of questions posed by customers. The message is that the more functionality provided on your site, the more time must be spent keeping it fresh. If you allow comments, reply to those comments and address reader questions. If you are the owner of the site, then you will need to budget time to do these updates. You may need to budget to pay someone to do the work on your behalf. Keeping a web site simple and straight forward will allow you to focus on the content and not on the graphics which really do not add to search engine indexation . There are many steps that SEO experts believe will help a website achieve the first page on search results. The primary solution is to have excellent content, fresh content, original content and content that is written around the keywords that are associated with your industry and business. If you do not have this type of content, internet readers, your customers etc will never find you using a search engine because they will never be presented with your website in the search results. The best designed web sites will incorporate SEO into their daily and weekly schedules of updates and adding fresh material. Other forms of advertising also may be of interest as well to increase readership. A strong social media presence on Twitter and Facebook for example, business cards with the web site address, invoices with the web site address, etc will also help to increase traffic which in turn demonstrates to the search engines that this is a viable web site. Fancy websites look great. They may even be considered cool. But does a cool Web design really work in terms of attracting clients and completing sales.? The bottom line for any company is whether an investment generates additional business. Designing and developing a website is really no different. The amount of money and time you spend developing your website needs to generate the customer demand that you’re looking for. It must meet the overall objectives for your company. All web sites need to be indexed by search engines. They need to rank high enough to be seen by people searching for your topic. And they need to be able to convert the reader to an interested customer. A tall order that goes far beyond what might be considered to be cool. The writer believes that a cool website is not necessarily the answer. Design the website so that the search engines can find it. They need to index it for the search terms that relate to your companies services and products. The cool website with lots of graphics may not achieve those results. The search engines cannot properly index your website when there are lots of graphics. Focus on search engine optimization or SEO as it is commonly referred to. This means having lots of original high-quality content that describes the services and products that you provide from your company. The search engines will index this content. They return it in the search results to people who are looking for these kind of services and products. You may also decide to have a cool looking website with lots of graphics. But don’t forgo the SEO approach to ensure the search engines will properly index your content. Proper indexing will deliver those results to people who are searching for the services and products that you sell. Another common mistake is to forget about your website. After all it is online and available to customers to look at. This is so wrong. Continuously update existing content, add new content and keep it interesting for your readers and customers. If you do not follow this practice you will find that less and less traffic is directed to your website. Add new content on a weekly basis. Try updating existing content. Focus on the older content to maintain its currency. Keep it related to your company’s products and services. The search engines love this. Maintain and update your website on a regular basis. They will reward this effort by improving the indexing of your content in better search results. This usually means more customers and more sales which is what every company is looking for! For more web design details, click here. All of the posts on this website are intended for use by business managers and owners of small businesses. The first objective of web development is actually to develop the objectives for your website. What are you trying to accomplish by having a website? Are you providing information to your customers? 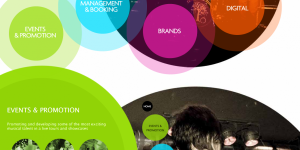 Is your web site to be interactive? Do you actually complete sales using your website? Can customers contact you through your web site? How often will you need to update this website? Who will keep it current and will you have someone in your company provide this effort or will you contract it out to an IT contractor? While some of these questions may seem basic, they have a huge impact on the amount of web development that will be undertaken and the overall design. 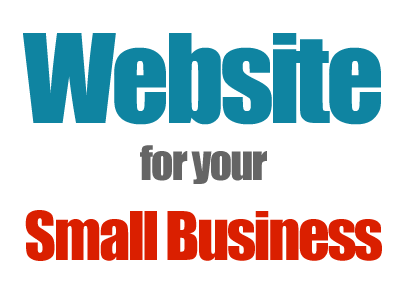 As your company expands and grows so will your website. You may start off with a basic informational website and contact generation website and then later on expand to actually be able to take orders from your customers online. Finally the answers to your questions will help to determine how large a budget you will need to set aside to support your web development and to also keep it current and up to date. Once you have set the objectives for your website, the next step is to set specific goals. These goals should be set in line with the amount of time it will take to develop your website. Factor in the cost of development and your budget. Finally don’t forget to set aside a budget for ongoing support and maintenance. Don’t forget additional development that you may need from time to time. An outdated web site can turn customers off and they may just go to another if the information you are providing is not current and up to date. Decide on Degree of Outsourcing for your website. Will you hire resources with the requisite skills in IT and website development? Or will you hire an outsourcing firm to develop your website and maintain and support it over the long-term? These decisions will depend on the amount of control that you want to have. 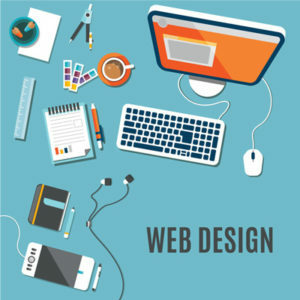 Web development, budget, and availability of the expertise that you need to maintain your website are factors to consider. 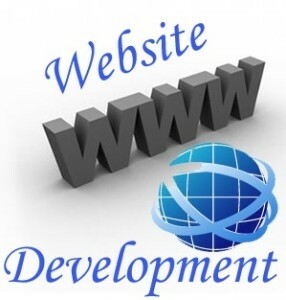 You may also want to have a conversation with someone knowledgeable in the business of developing web sites. Web development can be kept pretty straightforward without a lot of bells and whistles to avoid blowing the budget. For more on web site design discussions, click here. We offer small business web sites for customers who want to write their own content and just need someone to set the infrastructure up for them so they can get started. Many customers prefer this approach because they want to retain control over their content and the look and the feel of the web site. We have the perfect inexpensive suite of services that will match this need. Just check out our services on the top right hand side of the page and click one of the links. On the other hand if you need more support and really would like to have someone set up your web site and also add your content for you following guidelines supplied by you, we can do that as well for your business. We are a web developer for small business and can provide these services as well. Once you have a site set up, the next question is how do people find you online? There are many ways. Most business owners employ several kinds of advertising methods in addition to having a web site. This includes placing your web sites URL on everything. Include business cards, advertisements on radio, TV or the newspaper as well as flyers etc. Placing your websites URL on all invoices is another method, and any emails that you send out. More and more customers are using their smart phones to search for products. They also use tablets and iPads. They use one of the search engines such as Google, Bing or Yahoo to search for various topics. If your web site does not rank well on the index that the search engines establish, these potential customers are never going to find you. Your web page will be ranked well down the list on pages of results that will never be looked at. How Can a Web Developer Help to Search Engine Optimize Your site? There are lots of companies out there advertising all kinds of services and results. From twitter followers to Facebook friends etc. The only real answer to being indexed well is to have high quality content. Content that provides the customer with what he or she is looking for. The content also must discuss the topics that people search for as well. For example we are a provider of basic web sites that give small business owners and opportunity to manage their own web site. They do not need to make a huge investment in time or money. Some people will search for web site developers. However this page probably would not rank well since we do not use that term very much in the post. This post is focused on web developer for small business. Hopefully the search engines will pick that up and rank this page well when a search for this term is made. Then the customer has an option to select our link or not from among the top ten results provided. This is an additional service that we can provide to you in addition to a basic web site for your business . We can bring many more potential customers to your business which can be converted into paying customers. For more information about our service and web developer needs for small business, call us or send an email requesting additional information. For more about website design, click here. 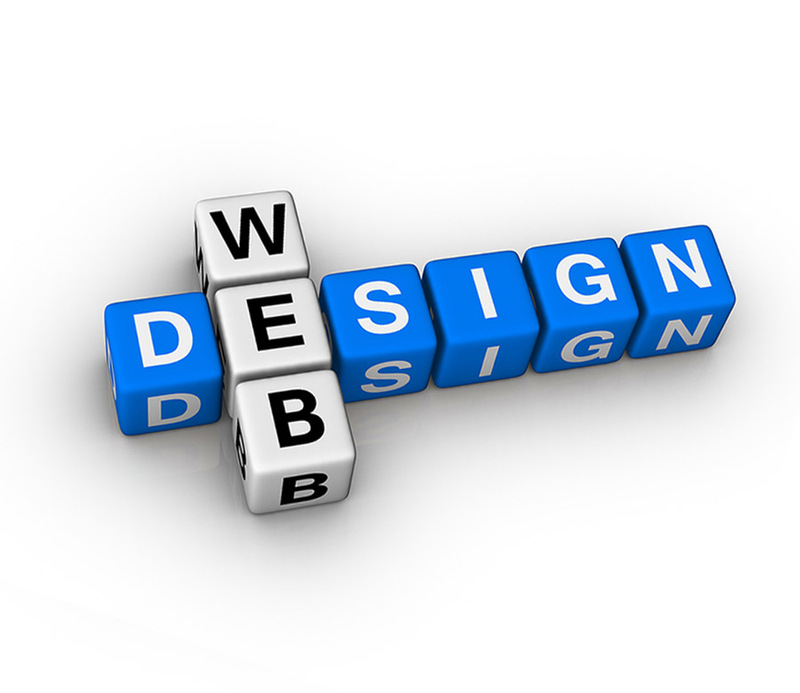 Web site design is a combination of technical capability, content creation and artistic ability. We will examine each of these areas and give you our opinion on what each entails and our opinion on how much time or money you should consider spending on each when you are a small business operator and just getting started. Most small business owners just want to have a web site that advertises their business, provides contact information and tells customers what services and products that they offer. There can be much more to a web site as we will discuss. Technically your web site needs to work and deliver content to the reader and perform whatever functions you build into it, i.e. contact forms, email, ordering and cash management to name a few. There needs to be a domain name which resembles as much as possible the name of your company or the business that you are in. It should also have a country reference. If you are in the US, you probably want a .com URL, if in Canada, you probably want a .ca URL. Next you need to arrange for hosting. This is where your content will be saved and referenced when someone goes to your link. The next major element is some sort of content management system. This system should make it easy for the non programmer to upload content and to arrange your pages and posts so that readers can view them. It should also have a number of widgets and templates available so that you can customize your web site along with a number of pictures or videos about your products, your services and your company. We use WordPress for our content management system, which allows us to set up you web site and then turn it over to the customer if desired to add their own content. We can add the content for you as well if needed. Your website needs content for several reasons. First and foremost a business needs to tell readers what services or products that they are offering. It is really your statement about what you can provide to the readers and an encouragement for them to drop by your store or call you to discuss the services that you might provide to them. Secondly this is where you also talk about who you are, some information about your company and how to contact you. For most companies and small businesses this is really all you need unless you want to pursue two other elements. One of these is to monetize your site and by this we mean allow you customers to place purchase capability on your web site, so that customers can place an order and pay for it on your web site. This functionality takes you to another level of web site. Something like adding PayPal is relatively easy to do, while adding other payment methods, inventory control etc will take more time and effort. The second major item of content to consider is increasing the probability that the search engines will index you properly for all of the typical search terms that customers might use when searching for your products and services. For example if you are selling widget X, and your company web site does not mention widget X anywhere on the site or with a combination of words that might be used, consumers searching for this term will never come to your site, because you are not search engine optimized. We can help you with Search Engine Optimization or SEO! Finally the last item is artistic ability. There are a lot of differing opinions about this area. Some people feel that web sites need to be elegant with lots of pictures etc, while others feel that you just need the facts. The bottom line is that it should be pleasing to the eye and a little color does help. Business owners can spend thousands of dollars on a web site making it fancy and colorful, however do you get your ROI for doing this? We do not think so and that is why we do not promote spending a great deal of money on this sort of thing. If you need a small business web site set up for you, call us today or send us an email and we will get you going with your small business web site within a day or two at very reasonable prices. 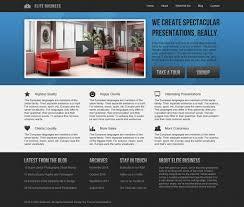 For more ideas about what to consider in web design, click here.